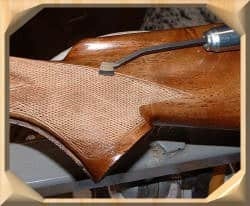 The vast majority of my customers are much too far away to walk into my shop, but I am STOCKMAKER.com, you and I will communicate more than any gunsmith you have dealt with in the past. Got a question or comment? Contact me, my email address is staff@gunstockmaker.com just click on the spinning icon. 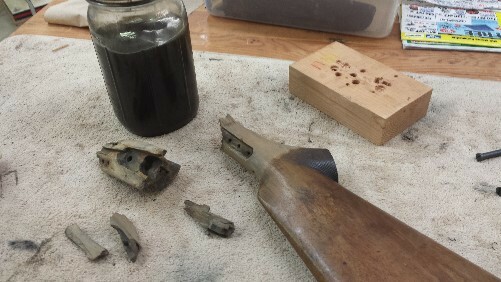 My company name is StockMaker, I fix gun stocks better than new. Please don't send me items without checking with me first!